Less Is Maw | Y'all Behave! With toddlers and younger, I try to make following the rules a bit more entertaining. When going on walks with Doc and Rebel, which we do once or twice per day, Rebel was always straying off the sidewalk, whether holding hands or not. I started doing a Goat Maw to get him to stay on the sidewalk. 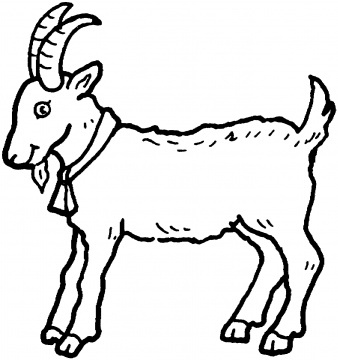 The Goat Maw is just what it sounds like, an impression of a goat…mawing. Now, this may seem strange to you, but it works. It’s loud enough that it gets Rebel’s attention, but funny enough that it doesn’t scare or upset him. The Goat Maw is used anytime babies are doing something they should not, whether climbing furniture, heading toward the stove, veering off the sidewalk. It teaches them good habits, by telling them what not to do without overly verbalizing. Lol! Yeah, we may have to modify it for you…police siren?